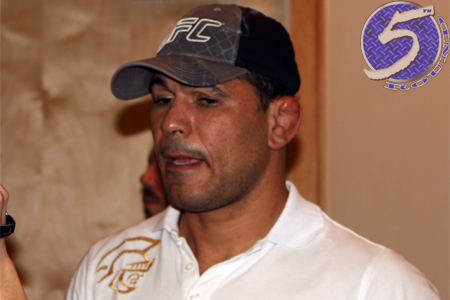 The last time Antonio Rodrigo Nogueira (pictured) took center stage, he found himself unconscious on the canvas courtesy of a couple Roy Nelson right hands. If UFC president Dana White gets his way, that will be the last time fans see the MMA legend inside the cage. Given what Nogueira has done for the sport during his illustrious 15-year career, White didn’t want to bring up retirement until the former UFC interim heavyweight champion did. Unfortunately, Nogueira used a different R-word – rematch with Frank Mir – and that’s why White decided to drop his two cents Wednesday night. “As soon as he got knocked out I was getting blown up by media guys saying, ‘What do you want to do?’” White revealed. “So out of respect for Nogueira, I didn’t want to say anything until he said something publicly. Then he comes out and said he wants to fight Frank Mir. Nogueira has gone just 3-5 over his last eight scraps, getting finished in all of those losses. The 37-year-old really made a name for himself in MMA with his epic encounters in Pride FC prior to joining the UFC in June 2007. He captured the interim UFC heavyweight title by submitting Tim Sylvia at UFC 81, only to lose the belt to Mir in his next outing. He was then submitted by Mir three years later at UFC 140. Mir snapped his right arm in two with a vicious kimura, and perhaps that’s why the proud Brazilian jiu jitsu specialist wants another fight with Mir before calling it quits.